Shashank Jain, 29, feels more connected with his team these days. A senior engineering manager at hospitality company Oyo Rooms who has 25 people reporting to him, Jain recently received feedback that highlighted his leadership strengths and pointed out areas for improvement. “My knowledge sharing and work prioritization skills had to get better," says Jain, who is now working on remodelling his management style. Jain’s leadership assessment was collected online by a new member of the human resources (HR) team at Oyo—Amber. But Amber is not an ordinary member. An artificial intelligence (AI) powered chatbot, Amber’s job is to amass responses for specific surveys and send a report to the chief technology officer (CTO) or head of HR to review. “If there is a red flag like attrition risk highlighted by Amber, we take immediate action. If there are yellow flags, we know we need to keep a constant check. Otherwise, we collate the data to identify patterns," says Anil Goyal, CTO at Oyo. Oyo started using Amber about six months ago. Employee feedback and engagement are pivotal HR functions. HR departments use tools like annual surveys and feedback forms to capture the pulse of the employees. However, as companies expand in size or geographically, HR teams can end up losing touch. That’s where chatbots become useful. “We felt that we were not as informed about our folks—were they as excited as when they started, were they sharing our growth," says Goyal, explaining that scaling up of Oyo was causing a disconnect between the top management and the employees. “We were keen on maintaining the relationship with our employees and this was the genesis for bringing in Amber. Amber helps continue the relationship without spending too much time collecting inputs." Amber, created by Gurugram-based start-up Infeedo, offers insight into the organizational pulse and individual experiences. Amber shows up on an employee’s screen according to his/her pre-defined milestone in the company and uses the responses by the employee to curate reports for pre-defined members of the C-Suite. There’s another a huge plus—Amber maintains confidentiality of the collected responses. “We have seen them (the staff) being very candid in sharing feedback even more than in one-on-one meetings or in surveys," adds Goyal. When the responses are collected by a chatbot anonymously, it means managers can’t hold any one person responsible for negative feedback if any. “Managers like me also know we are getting honest feedback. I have been working on the suggestions lately and had an open discussion with my team thereafter," says Jain. Others like HR voicebot Darwin, built by Hyderabad-based HR platform Darwinbox , helps people engage in voice-enabled conversations and then prepares a report. “The reason we put in a lot of research in developing the voice front is because we understand that voice is the most natural form of interaction," says Jayant Paleti, co-founder at Darwinbox. Darwin uses voice-enabled input and responds accordingly on business scenarios such as leaves, compensation, and on macro trends including team performance, engagement levels and attrition rates. Marico Ltd, a consumer goods conglomerate, realized the need for bots for HR functions as early as 2015. “We needed bots to boost organizational culture while remaining relevant in the industry and as a part of its broader digital strategy," explains Amit Prakash, chief HR officer (CHRO) at the Mumbai-headquartered company. 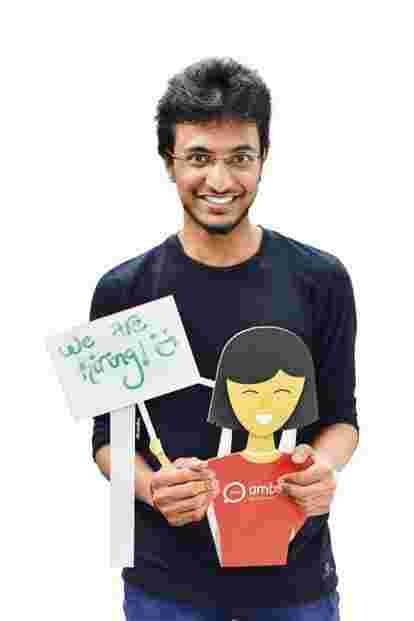 At Marico, Amber aids talent engagement within the organization. “When employees join us at different locations, the supervision for onboarding employees has to be better. On the day of joining, the new members are taken out for lunch with the supervisor. For me to get into that detail is difficult. Amber helps to manage this information with little effort," says Prakash. In February, Marico launched the Kudos bot on Maricognize, an in-house reward and recognition platform. The Kudos bot, like the name suggests an employee for his/her brilliant performance, offers them a citation and presents a financial incentive or perk, on the platform automatically. “Looking at how the change is happening in the industry, we thought it’s very critical to have close interactions with our members (employees) more regularly," says Prakash. Delhivery, a logistics company, is using Darwin to focus on its feedback culture. “Darwinbox’s continuous feedback tool is an integral part of our performance management system," says Kapil Bharati, chief technology officer, Delhivery. “Continuous feedback, in the last few months, enables timely course correction. It also helps to foster a performance driven culture by openly discussing an individual’s strengths and areas of improvement on a regular basis," says Bharati. Is it time to retire HR? When Tanmaya Jain was building Infeedo’s technology for HR, his mentors were skeptical. “My advisors questioned why we want to work for HR because its is looked down upon as a support function with low budgets," recalls Jain. But both Varun Puri, partner at Infeedo, and Darwin’s Paleti, who often interact with the CHROs, say that HR departments need to do a lot more since the workplace of today is constantly changing. “There are clients who directly come with the problem of measuring employee experience and others who come to solve for attrition," says Puri. Paleti says a lot of times CHROs want to find solutions for the tedious HR tasks like attendance management. According to industry experts, 70% of the work performed by human resource professionals at present is purely administrative, leaving less room for creativity and engagement at workplace. And this is the work that can be handled by bots. “Chatbots will never eliminate the need for HR, but can help facilitate better engagement between the HR and the workforce," says Paleti. “It’s complementary to the human function." Kamal Karnath, CEO of Xpheno, a specialist recruiting firm, says the need for executives with the skill of understanding organizational behaviour and bringing innovative solutions will come to the forefront even though the number of individuals needed for people’s management is expected to fall in the future. Chatbots can help HR professionals become creative in people management, helping them moving away from the usual Excel sheet management. Chia, (formerly JLT), is a bot that claims to manage over 22 human resource functions. It integrates with applications such as Slack and Messenger and helps in streamlining functions including scheduling, on-boarding, payroll and expenses alongside chatting with employees. Engazify, is an employee recognition bot that tracks conversations happening on Slack. It maintains a database of the number of times an employee has been appreciated for work and builds a leader board on the basis on the statistics. It also offers a happiness score of the team. Jinie is an employee’s personal assistant built by HR solutions firm, People Strong. It helps the HR do more conversational tasks by taking over transactional ones like application of leaves, managing employee data, among others.